instrumentalist Julia Kotowski. 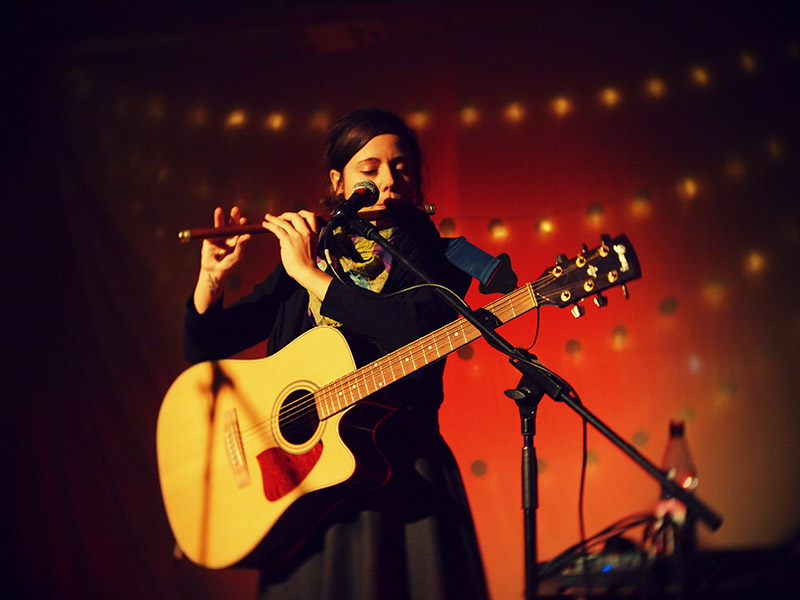 Since 2007 she has been dedicating herself to the creation of very quiet sounds, weaving the noises of small instruments, field recordings and delicate vocal arrangements into introvert folk songs. The results have been published in various, often half conceptual releases on web platforms and as hand crafted cd editions. On stage she weaves soft synths into layered guitar loops and voice. Previous Post Y2K17 Venues in Santa Cruz and San Jose!